Ajamu will be the featured international guest speaker at the upcoming Black Love Matters Un-Conference class. Ajamu is a London-based fine art photographer and archive curator/activist, whose work has been shown in galleries, museums and alternative spaces nationally and internationally. He will be joined by Toronto-based professor and global artist Honor Ford-Smith, from York University, who brings a deep experience of being an educator, artist and activist from Canada. The Planning in Toronto workshop series will focus on developing a symposium entitled “Blackness, Gender, Work, and Love” that will be the closing event of the year-long initiative called Black Love Matters 2017 Un-Conference. This course investigates how urban planning is informed by and closely related to the overarching, infrastructural challenges faced by the African, Caribbean, and Black Canadian community in the GTA. The workshop will provide insight into alternative, anti-racist planning strategies and projects that promote community development in the GTA. Students will learn about these strategies and projects, the methodologies around which they were designed and the various challenges that they aim to address. The course will also furnish students with an overview of anti-Black racism in Canada and how it intersects with other forms of discrimination. In addition, students will be introduced to the movements and organizations that seek to respond to the peculiar violence of Canadian-style, anti-Black racism. The students will be responsible for co-creating the Blackness, Love, Work, and Gender Symposium in December 2017; working with community members, community based organizations, government agencies, community based artists and activists to create a plenary event for the symposium. 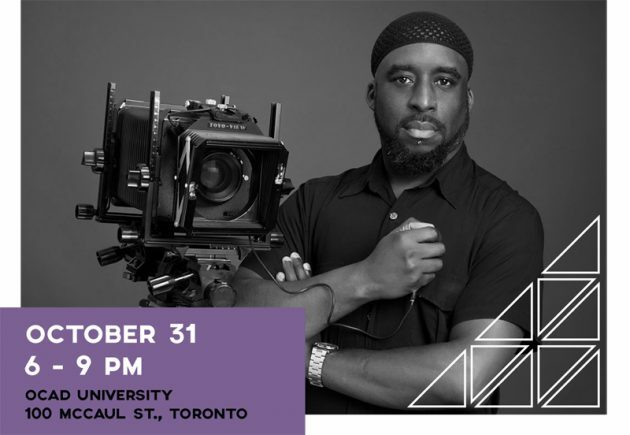 Ajamu is supported by Musagetes for this special discussion in Toronto.